George Jonas died on January 10th in Toronto. 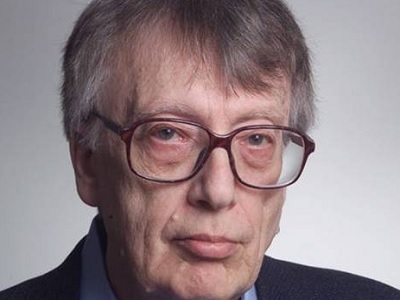 The Hungarian born Canadian writer, who was a brilliant and successful journalist, broadcaster, essayist, librettist and poet, died at age 80. No cause of death has been given, but he had been suffering from Parkinson’s disease. Jonas, who was well-known throughout Canada, was the subject of numerous newspaper obituaries and fond remembrances there. (See 1, 2, 3). In the United States, Israel, and among Jews throughout the world, the name George Jonas is solely recognized as the writer of the 1984 book, Vengeance: The True Story of an Israeli Counter-Terrorist Team. That book became the basis for the television movie, Sword of Gideon (1986) and later and more famously, the source for the film Munich (2005), which was directed by Stephen Spielberg. Vengeance is an account of the actions of an Israeli team of Mossad agents who were sent to Europe ostensibly to assassinate Palestinians who the Zionist state believed to be involved in the murder of Israeli athletes at the 1972 Munich Olympic Games, but whose actual mission included other Palestinians Israel viewed as dangerous enemies. The source of the story, who remained anonymous throughout the time of the book’s publication, release of the Spielberg film and reissue of Vengeance, was Juval Aviv*, the somewhat disaffected, leader of the Mossad unit depicted in the book, who had fled to Canada. Not surprisingly, the controversy over the book, which reflected an unromanticized and in parts critical view of the actions of the Mossad, began in The New York Times, the chronicle of all things Israeli, seen through a liberal Zionist/Jewish New York/American lens. A young Philip Taubman, who had obtained a copy of Vengeance prior to its publication, attempted a pre-emptive hasbara strike in order to discredit the book. This type of review is very familiar to New York Times readers today, but was less so in the 80s. Taubman, who was just beginning his illustrious career, prominently quoted Zvi Zamir, the Mossad head at the time of the incidents described in the book. He also cited the Israeli parliamentarian, writer and propagandist, Michael Bar-Zohar. Both assured readers that no person like the protagonist of the book, who was called Avner, could exist nor could the events Jonas described possibly have been done by an organization as righteous as the Mossad. After the Taubman review, a deluge of pro-Israel attacks of the book followed. The 2005 edition of Vengeance included a biting and incisive response by Jonas to Taubman and other critics, and a very convincing description of how he and his publisher verified Aviv’s story. Juval Aviv recounted to Jonas how the Israelis sent “hit teams” to Europe to kill those who it perceived as enemies. In carrying out this assignment, the Israelis killed completely innocent people such as a Moroccan waiter in Lillehammer, Norway whom they mistakenly identified as Ali Hassan Salameh. Salameh, a close associate of Yasser Arafat, was later assassinated by Israelis in Lebanon in an operation in which Juval Aviv’s team participated. Aviv told of how he personally killed Palestinian-Italian academic, Wael Zuwaiter, an act which even the Jewish-American/Israel apologist Aaron Klein wrote was a mistake based on uncorroborated and incorrect intelligence. The release of the film Munich in 2005 propelled pro-Israel proponents to pepper the Spielberg production with merciless criticism. It also reignited attacks on Jonas and his book. I had reviewed the film at the time of its release. However, I first read Jonas’ book just a few months ago. When I did, I was struck by the ending of the book which I never mentioned in my review, although it is portrayed faithfully in Spielberg’s film (which I recently watched again). Juval Aviv (the Avner character in the book and film) had become disenchanted with his assignment and with the Mossad generally. His dissatisfaction seems to have less to do with the morality of what he was doing or even his growing doubts about the effectiveness of the extralegal killings as a deterrent to future Palestinian attacks, but rather to a more mundane discontent with his working conditions and resentment of the capricious power wielded by his superiors over him. In an attempt to stop him from leaving the Mossad and fleeing to North America, the Mossad agents withdrew all the monies that were deposited for him as compensation for the mission. Then when that failed to convince Aviv to return, the Israelis tried to kidnap his daughter, but were thwarted by the quick reaction of Aviv’s brother, who was escorting the young child. In the ultimate irony, the disaffected agent then decided, echoing the sentiments of many Palestinians, that the only language the Israelis understand is the language of violence. Aviv retaliated against the Mossad by photographing the children of the security officers in the Israeli consulate in New York City. He then entered the consulate, introduced himself, showed the photographs and threatened the children with harm if the Mossad tried to harm his daughter. The result, according to Aviv, was a hastily arranged meeting with his handler, during which the Israelis surrendered by freeing him from his Mossad obligations and allowing him to begin a new life in Brooklyn. This episode reflects the true madness of the Zionist military mindset. Although Aviv had become a hero within the Mossad for his role as leader of his hit team, the Israelis could not accept his rejection of the Zionist ethos of blind commitment. The Mossad would rather use threats and kidnapping of one of their own men’s daughter, than tolerate his rejection and self-imposed exile. It now strikes me that this episode accurately and powerfully describes the insanity that is required of Jewish-Israeli citizens who must enforce the occupation, fight Israel’s pointless dirty wars, and brutally and heedlessly suppress the Palestinian population who live among them. I did not see this madness at the time of writing the review, which focused on the immorality of the vigilante justice in the film and the unwarranted attacks against Spielberg. Ironically, George Jonas, who was Jewish, was an anti-Soviet Reagan conservative, who supported Israel. His source Aviv, despite his doubts and experience, never left the Zionist fold. But in spite of his political views, Jonas told Aviv’s story both honestly and convincingly. He then defended the truthfulness of Aviv’s story with grace and intelligence. The book was an accomplishment never quite appreciated in the way it deserved. 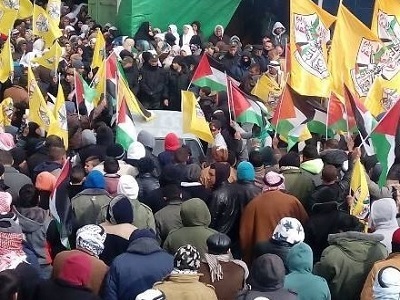 The Israeli extra-legal assassinations have continued to the present, so has Zionist faith in the use of extreme violence as an effective deterrent to Palestinian rebellion. This makes Vengeance a book which is very relevant to understanding Israeli Jewish society today. When Israeli soldiers invade Gaza and the West Bank, or when Israeli settlers attack Palestinian homes, they often justify their actions by speaking of deterrence. Many times they leave graffiti on Palestinian property. The one word that is most often scrawled is nkama(נקמה) which in English means … vengeance. *Juval Aviv was known in Israel as Yuval Aviv (יובל אביב). He was born Yuval Aviof (יובל אביוף) on Kibbutz Kfar Menachem, Israel, and later Hebraicized his name as was the custom in that country at the time. – Ira Glunts first visited the Middle East in 1972, where he taught English and physical education in a small rural community in Israel. He was a volunteer in the Israeli Defense Forces in 1992. He lives in Madison, New York where he writes, and operates a used and rare book business with his wife. He contributed this article to PalestineChronicle.com.